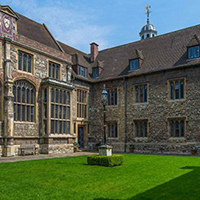 Fit for the Future Network members recently headed to the historic Charterhouse for a tour of their retrofit and energy efficiency work. 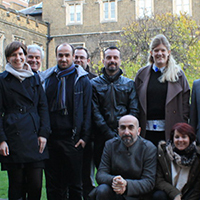 Forum for the Future masters scholar, Emmanuelle Hopkinson, reports back. Nature Reserves – Power Stations of the Future? 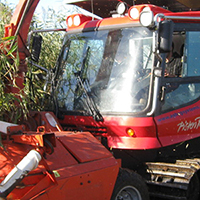 Core Network members, the RSPB, are soon to host a ‘biomass to bioenergy’ project demonstration in Kent. We catch up with the charity’s Bioenergy Project Manager, Sally Mills, to find out more about the project and what it means for wider habitat conservation across the UK. The National Trust is one of the founding members of the Network, and is keen to share lessons learnt on its sustainability journey so far. We catch up with Natasha Rozanski, the Trust’s Building & Project Design Guide Assistant, to find out all about their building design guides and how they can be of use to other Network members. 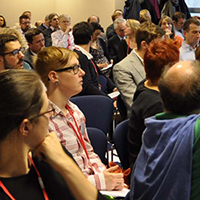 The 2015 Ashden Awards are now open for entries: you’ve got until Tuesday, 4th of November to apply. We catch up with their PR and Digital Media Manager, Julia Hawkins, to find out what the Ashden team are looking for this year and how winners will be rewarded. The Network team were delighted to welcome the University of Oxford on board this summer. 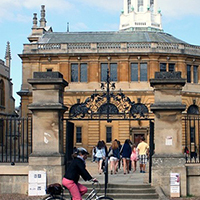 The hundreds of buildings in their estate include historic gems like the Bodleian Library and the Ashmolean Museum as well as a theatre designed by Sir Christopher Wren. We catch up with Tom Heel, their Sustainable Building Officer, to find out how the Network has been of use so far in helping to make these buildings Fit for the Future. The Fit for the Future Network began with an Ashden Gold Award. Simon Brammer, Programmes Manager at Ashden and member of the Network steering group, gives us the story so far. Hello and welcome to the Network’s new online home. 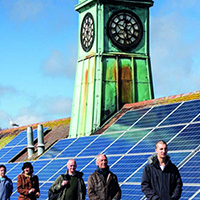 In this news section you can read about what our members are up to, their current energy projects, and budding Network partnerships. We’ll also be publishing case studies and letting you know about upcoming events. To start us off, here’s a brief history of the Network so far. 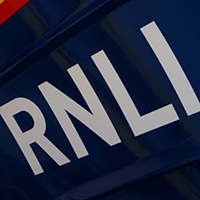 The RNLI is a core member of the Fit for the Future Network. 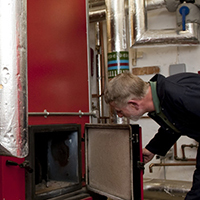 We catch up with their Estates Engineer, Robert Jeans, to find out about the charity’s current energy projects, future plans and how the Network has made a difference to them. The Network is currently supporting a new community energy hydro scheme in North Wales, with a share offer being launched as part of Community Energy Fortnight. Richard Dallison of Bangor University introduces the project. Nine months into its life, the Fit for the Future Network had attracted over ninety members including some of the UK’s biggest land owning organisations. 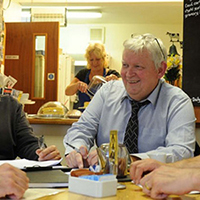 With ever-growing support and a number of budding partnerships, the steering group decided that the Network was ready to stand on its own two feet. As well as an individual identity, the team wanted to create an online platform for the Network that would serve as a hub for members and showcase successes so far. A website that’s Fit for the Future It made sense that the Network’s new online home should be ‘Fit for the Future’, so we searched for the best people to help us achieve this. Award winning Base Creative not only run a pro bono service for charities but have a number of sustainable business credentials that made them a perfect match for the project. 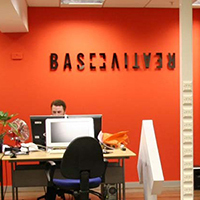 Carbon Neutral and Renewable Base Creative’s offices are in the Business Design Centre in London, which became the first CarbonNeutral venue in the UK in 2010.